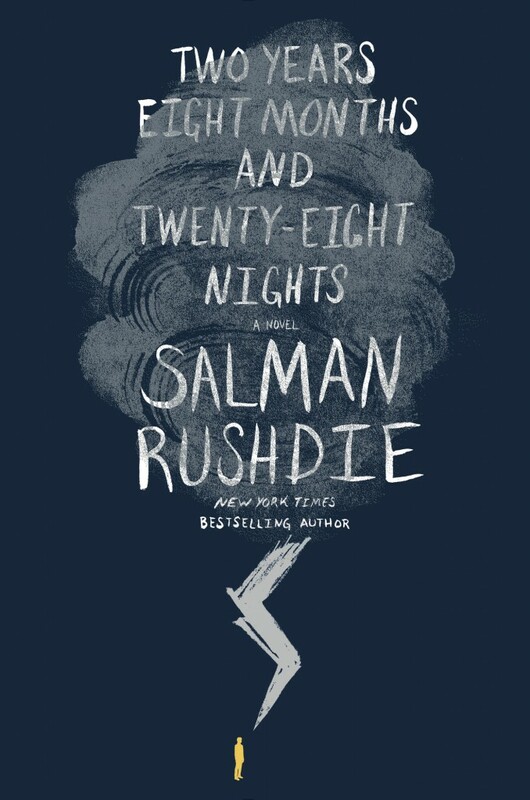 Salman Rushdie‘s twelfth novel is a New Yorker’s Arabian Nights, a wryly witty, promiscuously intertextual work that offers delirious pleasures and fantastical beings in equal measure. Our world — New York in the present day — has been beset by “strangenesses”. A gardener who hovers an inch or so above the ground, an abandoned baby who identifies moral corruption in her presence by inflicting disfiguring sores on its source, lightning strikes, wormholes. Much as midnight’s children, in the novel of that name, derived their telepathic powers from an accident of birth, so the people on whom these strangenesses center share a common (supernatural) origin, a jinnia named Dunia who fell in love with the twelfth-century philosopher Ibn Rushd and bore him enough children to guarantee a healthy global distribution of descendants eight hundred years later. As we move between happenings in our world and Fairyland, we learn that, in order to save the world, a showdown between humankind and the four Grand Ifrits, the dark jinn, must be provoked — and won. Religion, in Two Years, thus seems like little more than an excuse for carnage, and it’s tempting, as we enter 2016, to read the novel allegorically. In the US, religion still plays a critically divisive role in the national dialogue and electoral politics; in the world at large, we watch on as a global coalition attempts to counter the spread of the religious fundamentalists of Daesh, with their taste for medieval barbarism and apocalyptic rhetoric. The end-of-days strangenesses in Two Years are symptoms of a world gone mad, a world where reason may be bulldozed by violence perpetrated in the name of gods and scapegoats are sought, persecuted, dehumanized. Sound familiar? A framing narrative situates the main action of the book, which takes place in the present day, a thousand years in the past; the world of the future-narrator is, in contrast with ours, characterized by “reason, tolerance, magnanimity, knowledge, and restraint.” Must we go through a cataclysm similar to that which Rushdie depicts before reason is restored? Two Years is not, however, a straightforward polemic. The faith-vs-reason framework is nuanced and tempered throughout Rushdie’s narrative by his playful approach to character and story. The hundreds of characters who wander across his pages are every bit as illogical, passionate, loving, hateful, foolish, wise, godly and dissolute as one might expect from a loose recasting of the Arabian Nights. The sheer variety of human life is surely the best available argument for the defusing of absolutist debate — how can one size fit all? And just as Scheherazade’s narrative abundance was a survival tactic, so the proliferation of stories in the world — in Rushdie’s novel and in “real” life — is a necessary and joyous thing. This playfulness also serves the book’s framing narrative. Many of Rushdie’s sketched lives are lifted from elsewhere; there are quotations and paraphrases everywhere. “Before the power died the TV showed images taken from the sky of an immense white spiral wheeling overhead like an invading alien spaceship,” writes Rushdie, evoking both Hurricane Sandy and Independence Day. As the full scope of the strangenesses becomes clear, so too does the range of his sources: “In a French town the citizenry began turning into rhinoceroses [Ionesco]. Old Irish people took to living in trash cans [Beckett]. A Belgian man looked into a mirror and saw the back of his head reflected in it [Magritte]. A Russian official lost his nose and then saw it walking around St. Petersburg by itself [Gogol].” The list goes on: Shakespeare, Proust, Joan Didion, Aldous Huxley, Harry Potter, Buñuel, Stan Lee… Part of the fun is tuning one’s inner ear to this game of references. President Obama is evoked but remains nameless; Rushdie’s own past is playfully raked over; the whole enterprise, from title on, declares itself a remake (reboot?). Two Years, its philosophical import aside, is thus also a catalog of the archetypes, idioms, and imagery that may one day be used just as today we bastardize Shakespeare, Chaucer, and the King James Bible — unconsciously. When Rushdie appeared on BBC Radio 4’s Desert Island Discs in 1989, the book he chose to be marooned with was Arabian Nights. More than twenty-five years later, his relationship with that work has produced a novel that is as intellectually stimulating as it is straightforwardly entertaining. 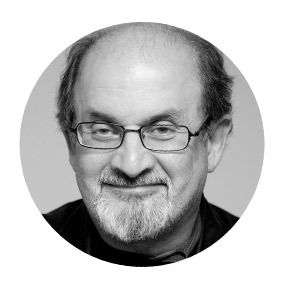 Salman Rushdie will appear at the House of SpeakEasy’s third annual gala, I’ll Have Another, at City Winery NYC on February 1, 2016.